How Does a 5th Year Starting QB Get Benched and A Rookie 3rd Round Pick Get Named The Starter? Ok, who wants to read about how the Tampa Bay Buccaneers are 0-3 & how they really could have been competitive against the New England Patriots but yet again shot themselves in the foot? No one! What everyone really wants to hear about is all the drama going on in the Tampa Bay Buccaneers organization. How does a 5th year quarterback who was a 1st round pick got benched & a rookie 3rd round pick get named starting quarterback in his place? But first things first, let’s look at some history. The BUCs won the XXXVII Superbowl 10 years ago. For years after, the BUCs were held hostage with no high draft picks because they gave them up along with a whole lotta cash to obtain John Gruden, their Superbowl winning coach. 5 years ago, then HC Raheem Morris drafted Josh Freeman outta Kansas State with not much of a resume except that he was a big kid with some decent skills. The BUCs owners, the Glazer family, continued to be cheap not pumping money into getting an established coach or quality players in free agency. 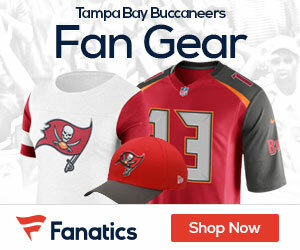 The Tampa Bay Buccaneers fan base & season ticket sales continued to dwindle & the BUCs started looking like the BUCs of ole, like in 1983 when they started an NFL-record of 13 straight seasons with ten or more losses. After 3 years with free spirit Raheem Morris, the Buccaneers hired Greg Schiano, a college coach with not much of a winning record (68-67 in a weak Big East conference) but some limited NFL experience. He also was a hard-nosed disciplinarian which was thought to be an upgrade over Morris. But Buccaneer fans are finding out that Schiano really might be a control freak who micromanages everything despite having 28 coaches on staff. A control freak who keeps the meeting room temperature at 60 degrees so players will stay awake & a control freak who demands that players cannot do an interview without a Buccaneer’s PR person present. With the hiring of Greg Schiano, the Glazers opened their wallets to free agency adding offensive & defensive weapons to the Buccaneer’s roster. And finally in September 2013 the Buccaneers were finally poised to once again be competitive in the NFL & chase the post season. How could the season that seemed to hold such promise be going down the tubes so early? There is some interesting speculation in Tampa Bay creating all this drama. Here are a few of the theories & a whole lot of speculation! Theory #1: Benching Josh Freeman is a conspiracy & with the BUCs being 0-3 it only makes it easier. It doesn’t matter that Josh Freeman wasn’t responsible for any of the 3 losses. In Josh’s defense he holds many Buccaneer offensive records & he has had 4 different offensive coordinators in 5 years. In the last 6 out of 9 losses Josh Freeman left the game with the Buccaneers winning therefore it was the defense that lost those games. Some believe that because Josh Freeman was not “Schiano’s guy” it would be sooner rather than later that he would replace him. Before the season started radio stations were giving away prizes to callers who could choose what week the QB change would occur. 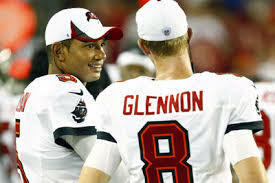 That’s why Schiano drafted Mike Glennon in the 3rd round, that’s why Glennon played most of the preseason, & that’s why he has been taking reps with the #1s which was just revealed a few days ago. Theory #2: Benching Josh Freeman was really a conspiracy designed by the Glazers because they did not intend to offer him a new contract next year. And if they weren’t gonna give him a new contract why not bring in the new guy now? Interestingly, if you look around Raymond James Stadium & at the marketing of the Buccaneers this year you really don’t see many images of Josh Freeman. There aren’t many murals or pictures of him. Is it because it was planned that he would not be a big part of the 2013 Buccaneers? Theory #4: Josh Freeman is not as committed as the other players. He is late for meetings, he shows up 2 hours late for his own youth summer football camp, he showed up late for the team picture, & he was not voted a team captain by his fellow teammates. There is speculation that his teammates feel he is not focused on the task at hand. What do I think about this drama & what have I learned? I learned that I am very naïve. As a season ticket holder I was so hopeful about the upcoming year. I thought all Josh had to do was play similarly to how he played the first half of the 2012 season, manage the offense & with the upgrade in the defensive secondary, the BUCs would be on their way to a 9-7 or 10-6 season & maybe position themselves to make the play offs. I was pumped for the season to start. I blamed the 0-3 start on the HC & OC for a poor game plan & poor play calling. In Josh I trusted. When the rumors started I still believed & when Josh was benched I was sick & in shock. I didn’t think that Josh had played that bad. Wasn’t his passer rating skewed by dropped passes & wasn’t he handcuffed by the OC? But I go back to the middle of the 2012 season at a home game at the beginning of Josh’s downfall. He threw an interception & I saw the look on his face, the body language. And I saw the same look on his face the first game against the Jets. I told my husband, “Something is wrong with Josh Freeman”. I don’t know what it is, I can only speculate like the rest of Tampa Bay. I rationalize that there must be something very serious going on with Josh Freeman to make a Head Coach & a GM, whose jobs may now be in jeopardy as well as the Buccaneer ownership all agree to bench their starting seasoned 5 year QB so early in the season for the likes of a 3rd round pick. There must be something! There has to be something! And, ………… the speculation continues. All I want to say is I’m a big Freeman supporter. And Schiano set Freeman up to fail. I love my buccaneers nut kinda want to see Glennon fail so the glazes can see what kind of mess they made and Fire Schiano.